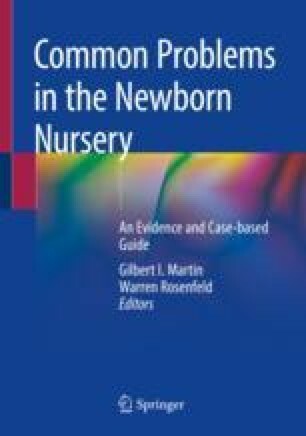 This chapter offers healthcare providers an overview of how best to promote newborn nutrition. Parents should be making informed decisions on how to provide nutrition for their newborn to promote optimal growth, development, and good health. This chapter will cover the benefits of breastfeeding and discuss the clinician’s role in supporting exclusive breastfeeding. Through a case-study approach, providers will learn to recognize and address common issues that mothers may face when they choose to breastfeed. This chapter will also discuss formula as alternative source of feeding. Newborn nutrition is closely tied to subsequent infant and maternal health, and guidance from the healthcare provider can help to establish healthy feeding patterns in the earliest stages of life. The comprehensive literature reviews and detailed editorial assistance of research assistants Victoria Chi, Shannon Cleary, Angie Lee, Irene Song, Yingna Wang, Yun Chao Chen and Maggie Sherin at Cohen Children’s Medical Center are greatly appreciated. Long term effects of breastfeeding: a systematic review. World Health Organization. 2013:57–67. http://apps.who.int/iris/bitstream/10665/79198/1/9789241505307_eng.pdf?ua=1. Accessed Aug 11, 2017. Making Breastmilk. Office on Women’s Health, U.S. Department of Health and Human Services. Womenshealth.gov https://www.womenshealth.gov/breastfeeding/learning-breastfeed/making-breastmilk#10 Updated August 1, 2017. Accessed September 29, 2017. How to Tell if a Baby is Getting Enough Milk. Healthychildren.org https://www.healthychildren.org/English/ages-stages/baby/breastfeeding/pages/How-to-Tell-if-Baby-is-Getting-Enough-Milk.aspx Updated November 11, 2015. Accessed September 29, 2017. Breastfeeding Program. Arizona Department of Health Services. http://www.azdhs.gov/prevention/nutrition-physical-activity/breastfeeding/index.php#providers-normal. Accessed September 29, 2017. Amount and Schedule of Formula Feedings. Healthychildren.org https://www.healthychildren.org/English/ages-stages/baby/feeding-nutrition/Pages/Amount-and-Schedule-of-Formula-Feedings.aspx. Updated November 21, 2015. Accessed November 9, 2017. Centers for Disease Control and Prevention: https://www.cdc.gov/breastfeeding/index.htm. HealthyChildren.org (American Academy of Pediatrics: https://www.healthychildren.org/English/ages-stages/baby/breastfeeding/Pages/default.aspx. Academy of Breastfeeding Medicine Clinical Protocols: http://www.bfmed.org/Resources/Protocols.aspx. Videos from the International Breastfeeding Centre: https://ibconline.ca/breastfeeding-videos-english/.